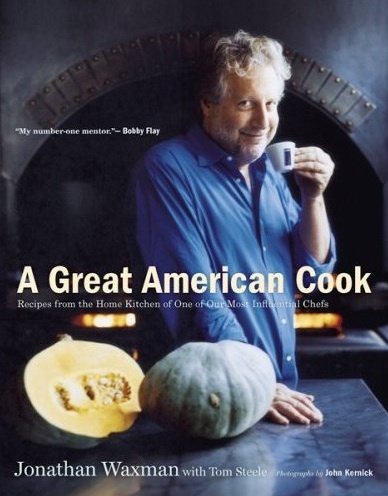 To Alice Waters, Ruth Reichl, Thomas Keller, Bobby Flay, Deborah Madison, and other movers and shakers of the food world, Jonathan Waxman is a culinary giant who helped invent contemporary American cooking. His exuberant style ushered in a new spirit of excitement in food. The forceful flavors of his dishes are unabashedly rustic and engagingly straightforward. In A Great American Cook, Waxman presents his greatest recipes to the home cook for the first time. They include Red Pepper Pancakes with Corn Sauce and Smoked Salmon, a classic appetizer he created when he ran the kitchen of Chez Panisse; Crispy Chicken and Goat Cheese Burritos, one of his most-ordered items; and his signature Grilled Chicken with JW Fries, the dish that made him famous.